A Massachusetts judge on Friday rejected a Republican request to delay the swearing in of Edward M. Kennedy's temporary replacement in the Senate. The state GOP had argued that Gov. 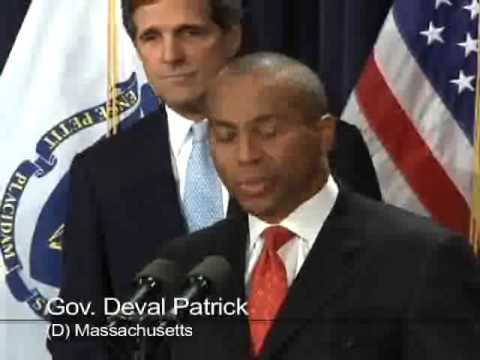 Deval Patrick — a Democrat — exceeded his constitutional authority by appointing Paul G. Kirk Jr. on Thursday. Lawmakers passed a bill this week giving Patrick the power to choose an interim senator, but laws usually take effect in 90 days. A Suffolk Superior Court judge this afternoon rejected a request by the state Republican Party to block the appointment of Democrat Paul G. Kirk Jr. as interim US senator. The ruling leaves Republicans with few options to stop Kirk from taking the oath of office this afternoon in Washington. "I really didn't have a great deal of concern about it," Kirk said after arriving on Capitol Hill.